Tendons, the tight bands that attach your heel and foot bones, work to form the natural arches in your feet. These tendons work together to stretch the proper amount, resulting in a moderate arch. When the tendons in your feet do not pull together properly, there is little or no arch. This is called flat feet or fallen arches. Custom moldable orthotic insoles are designed to improve arch support and provide the alignment you need to reduce pain and prevent further injury. Tendons, the tight bands that attach your heel and foot bones, work to form the natural arches in your feet. These tendons work together to stretch, resulting in a moderate arch. When the tendons in your feet don’t pull together properly, there is little or no arch. This is called flat feet or fallen arches. Custom moldable orthotic insoles are designed to improve arch support and provide the alignment you need to reduce pain and prevent further injury. 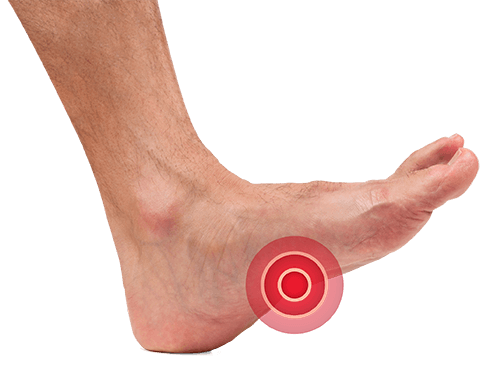 The orthopedic shape and customization of SOLE’s footbeds provide the comfort and support needed to prevent excessive arch strain and provide the relief you need to get back on your feet. I have extremely flat feet and pronation, which causes foot pain, knee pain and especially lower back pain. I found SOLE about 5 years ago and have remained a loyal customer because I DON’T LIVE IN PAIN ANYMORE! I simply will not put shoes on my feet without a pair of these footbeds in them. My husband and I were traveling from Maine to Florida and somewhere during the trip, I lost one of my insoles. As soon as we landed in Florida we set out to find a new pair. 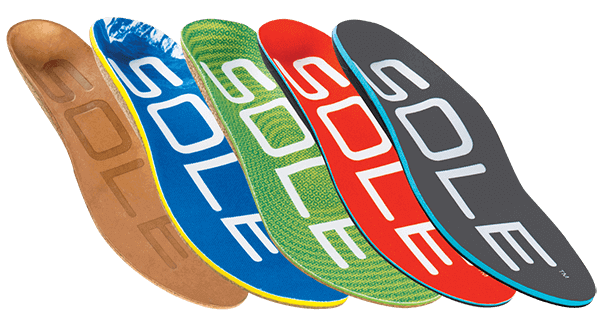 At a running store, we came across SOLE and they are the best over-the-counter insoles I have ever had. I have suffered with flat feet since a child and have had a few bouts of plantar fasciitis. These are an excellent product and I will be purchasing a pair for my golf shoes, and two more pairs for my other sneakers. I have plantar fasciitis and flat feet, and my skates feel like slippers now! My ski boots felt like they were crushing my foot downwards. Now I feel like I have some arch support, and my feet sit more neutral in the boot. I will be buying more pairs for my walking/running shoes and motorcycle boots. Thanks for making such a great product!